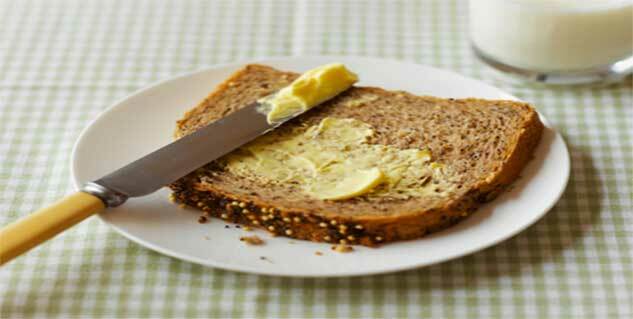 According to Centre for Science and Environment (CSE), the breads from many brands contain toxic chemicals like Potassium Bromate and Potassium Iodate. A series of tests were conducted on 38 samples collected from different outlets of Delhi.Approx.84% of sample were found positive for Potassium Bromate(KbrO3) and Potassium Iodate(KIO3). WHO has already warned about the ill effects of these two chemicals. Potassium Bromate and Potassium Iodate is banned in more than 40 countries. These cancer causing chemicals are still not banned in India and are easily available. Research shows that these chemicals are toxic and can induce thyroid cancer and - renal tubular carcinoma. Long-term consumption of potassium bromate is known to cause genetic alteration and mutation in upcoming generations. Potassium Bromate and Potassium Iodate are used as flour treating agent meant for baking. Based on all these evidence CSE advised FSSAI to prohibit the use of potassium bromate and potassium iodine in making bread and bakery products with immediate effect. However, the officials from health ministry are asked to investigate the matter and bring a clear picture for the public interest.